Many older patients with unsightly gaps in their smile or noticeably crooked teeth feel like they’ve missed the boat on undergoing orthodontic treatment. After all, traditional metal braces are viewed as a service for children, and you don’t want to be the only one in your office with a mouthful of brackets and wires. Thankfully, this doesn’t mean that you have to settle for a smile that isn’t at its best. 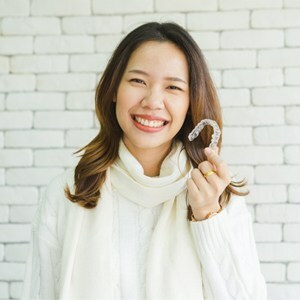 At Capehart Dental, Dr. Capehart is proud to offer Invisalign as an aesthetically friendly and highly effective treatment option that can create the harmonious results you’ve been dreaming of. Please contact our Lewisville, TX location today if you’d like to schedule a consultation! Our team enjoys helping patients from Copper Canyon, TX and other surrounding areas. Invisalign treatment consists of clear, custom-made aligners that are provided by the Invisalign Lab. Patients will be provided with a set, and each aligner in this set will represent a different stage of their smile’s gradual improvement. The patient’s job is to wear each aligner as directed (every day for at least 22 hours a day and over a span of about two weeks) before switching to the next one in their personalized set. Dr. Capehart will also need to schedule regular appointments with you (typically every six weeks) so that he can review your progress and ensure that your treatment is going smoothly. Why Is Invisalign A Good Choice? Like the name implies, Invisalign aligners are clear, aesthetically pleasing, and very hard to see when worn. Only people who know what to look for in the first place are likely to notice you’re wearing them at all. The aligners are also removable, which means that you won’t have to make any changes to your diet to accommodate them. You can also keep brushing and flossing like you normally would without worrying about having to navigate those tricky wires! With Invisalign, there’s no metallic irritation to worry about. 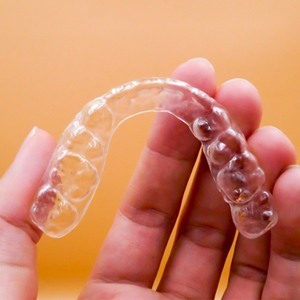 Instead, the aligners are made from clear, smooth plastic that feels comfortable in the mouth. If you have a big event coming up where you want your smile to look its absolute best, it’s fine to take out your aligner for an hour or so! As long as you remember to place it back in the mouth promptly, your treatment plan shouldn’t be affected.